Flashback Friday: What a way to travel! Finnair was founded 95 years ago in November 1923 – and the age of flying has surely developed since then. So, buckle up and join us for a walk down memory lane as Blue Wings recants the pleasures of modern globetrotting. Flying in the 1960s was a glamourous affair and so were the comforts of the French Super Caravelle, a 33-metre-long jet airliner. This slender beauty had a twin-engine, enhanced aerodynamics, and extraordinary wing performance during take-off and landings – qualities that made it the favourite of many pilots. Upgraded soundproofing and engines placed at the rear of the aircraft provided a “quiet” experience for the 12 First Class and 70 Economy Class passengers, while the upholstered chairs, higher cabin windows, and improved air-conditioning added to their comfort. Mind you, the era of inflight Wi-Fi or even movies did not exist yet. So, what was the inflight entertainment of yesteryear? Passengers wrote postcards, read books and newspapers, or played cards. Now that’s old school entertainment! Come 1969 and the highly anticipated trans-Atlantic flight from Helsinki to New York City opened thanks to the McDonnell Douglas DC-8-62CF aircraft. Named after the Finnish composer Jean Sibelius and furnished with the latest Finnish design, Finnair’s DC-8 cabin was equipped with Tapio Wirkkala’s iconic Ultima Thule glasses, red and blue table linen designed by textile artist Dora Jung, and blankets and upholstery designed by Marjatta Metsovaara. In 1975 Finnair welcomed even more additions to its expanding fleet. The McDonnell Douglas DC-10-30 was a large three-engine wide-body jet airliner with space for up to 380 passengers. Made for medium and long-haul flights, the Helsinki to Bangkok route was launched in 1976, and non-stop flights from Helsinki to Tokyo begun in 1983 with a flight time of about 13 hours. Commonly referred to as the Polar flight, passengers received a special certificate for flying over the North Pole! Electrifying times arrived when satellite telephones were installed in 1986 in all DC-10 planes enabling passengers to make phone calls during their flight. Operating the DC-10 aircraft required two pilots plus a mechanic, and it was common for passengers and especially children to visit the cockpit to see the crew at work. The McDonnell Douglas DC-10 fleet served Finnair for 21 years before its retirement, carrying nearly eight million passengers all over the world. In October 2015 Finnair became the first airline in Europe to fly the Airbus A350 XWB aircraft, an eco-smart airliner with improved fuel efficiency and reduced emissions. If being extremely quiet, having the best cabin pressure, and one of the highest-flying long-distance twin-engine Airbus is impressive, so is its bright and spacious interior, and playful LED lighting system that creates an ambient show mimicking the freshness of Nordic nature, a glowing sunset, or even the dancing Northern Lights. Created in cooperation with Helsinki-based dSign Vertti Kivi & Co, it is not just the good looks of the interior that impress passengers but how the design makes them feel – which is calm and rested. Add to that comfortable seating arrangements, an advanced air-conditioning system, Marimekko-designed accessories, inflight Wi-Fi, and small details such as hand-stitched upholstery in Business Class, it’s no wonder Finnair’s Airbus planes won the Yacht & Aviation Award in the Commercial Aviation – Economy/Business Class category the year they were released. Happy flying! 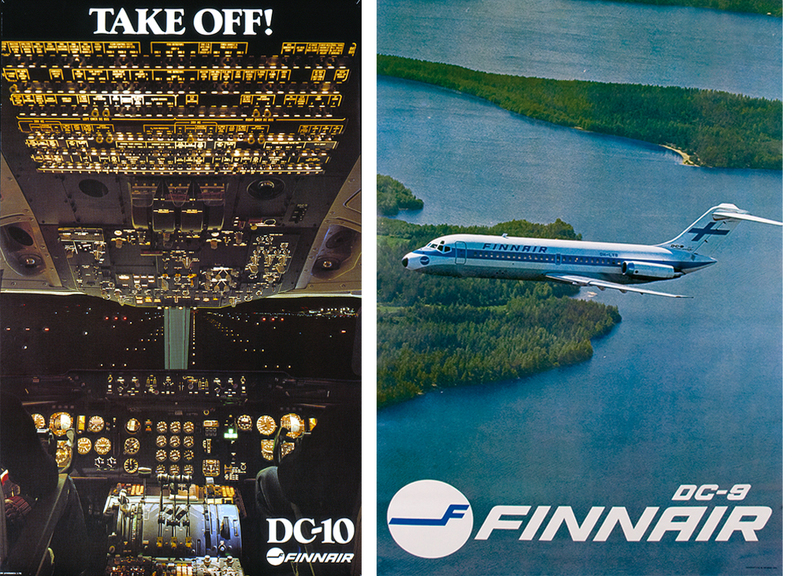 Take a stroll down memory lane with Flashback Friday, a five-part series celebrating Finnair through the ages. What’s hot right now in steam therapy? Flashback Friday: Do you speak Finnair?